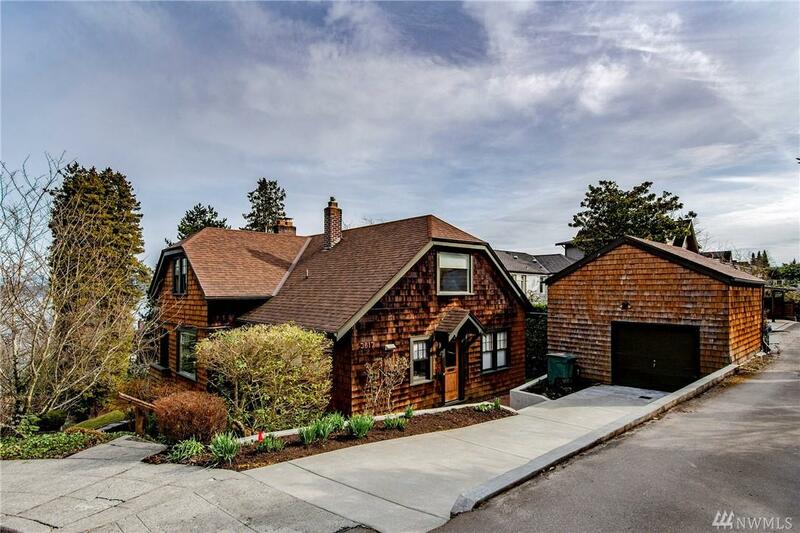 Spacious Craftsman home located on a quiet, dead-end street adjacent to steps leading to Lake WA. Formal living & dining rooms with FP, large windows, deck for entertaining & filtered lake views. 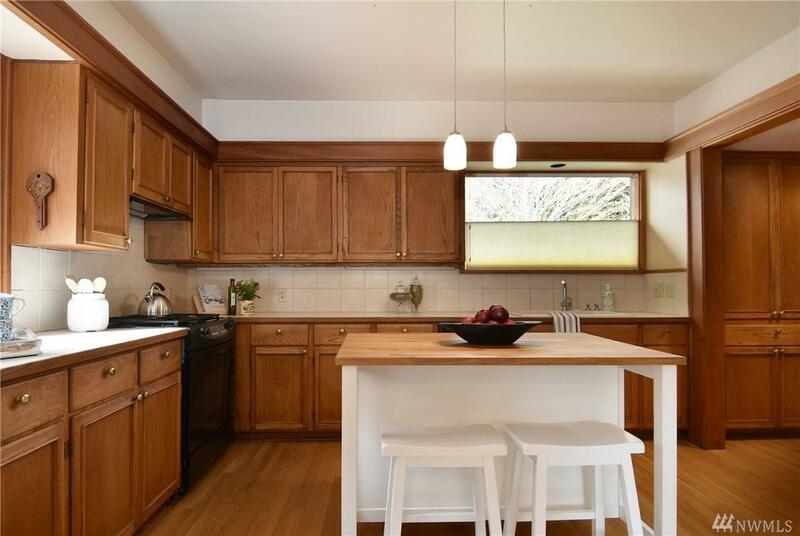 Eat-in kitchen w/family room. 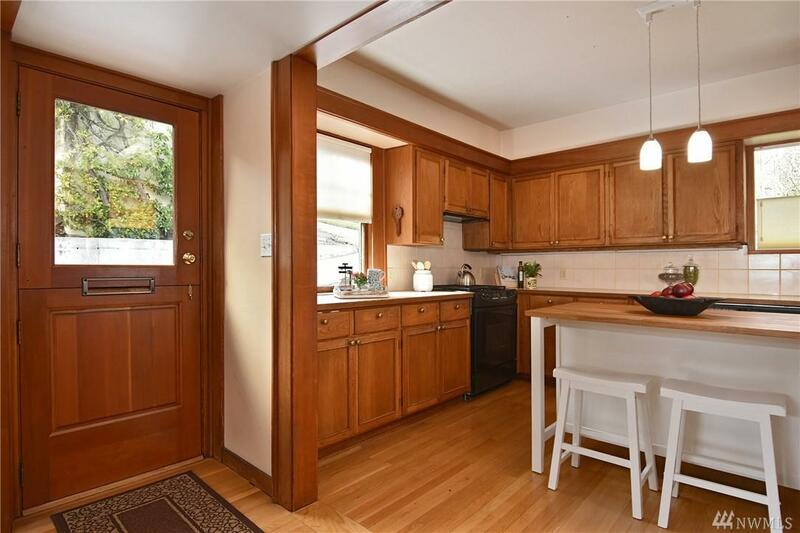 Original character remains w/oak HW, window seating, built-in shelving & molding. Main floor BR & full bath. Upper level has 2 BR & bath & bonus area perfect for home office/den. Partially finished lower level ready for improvements. 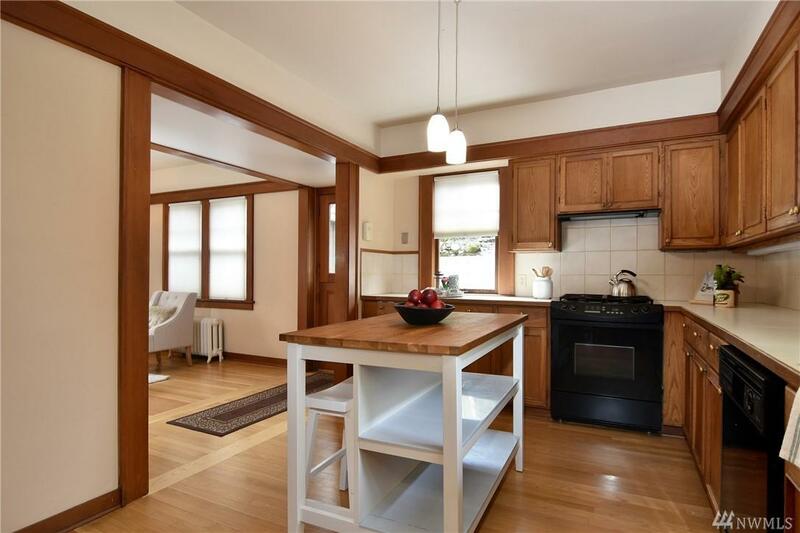 Large 1-car garage + 2 off-st parking. Listing Courtesy of Chel Nw Realty Llc.